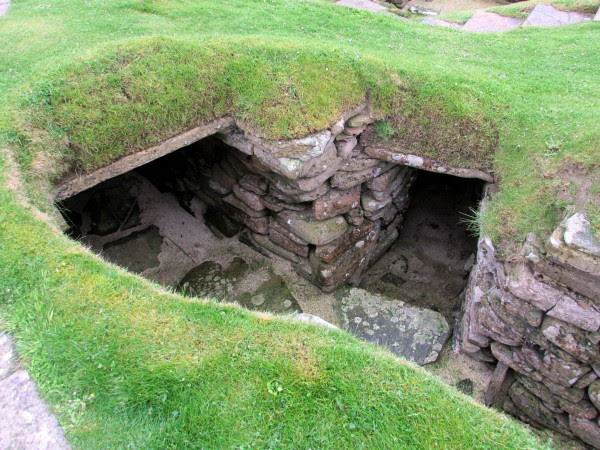 In a small bay in Scotland, a well-kept secret is hidden among the green hills. At first glance, it might not seem particularly impressive, but step inside and you'll be amazed at what you see. Thousands of years ago, it was a bustling society. But time and weather buried it under the sand. 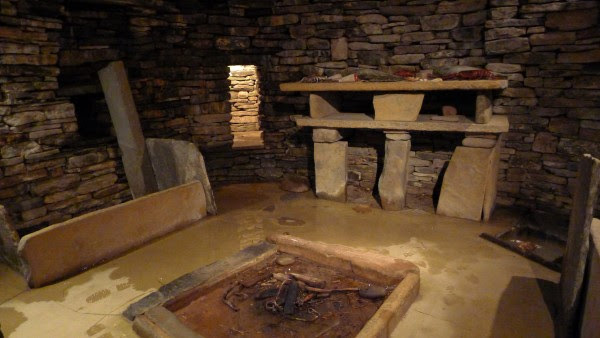 For millennia, no one knew that this place ever existed, but when a terrible storm swept over the Orkney Islands in 1850, an incredible secret was revealed. 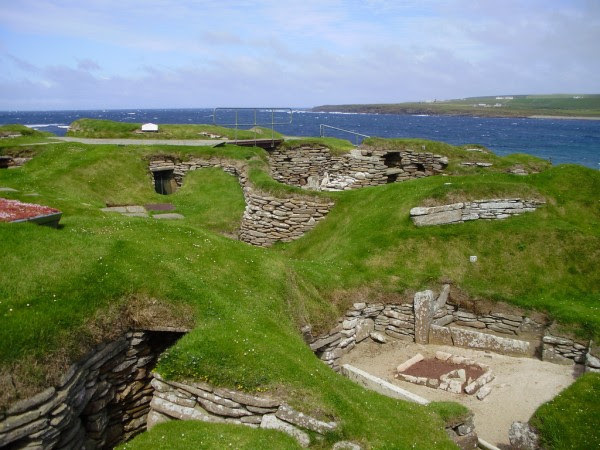 Nestled in the mossy, green hills on the Orkney Islands off Scotland is a secret older than the great pyramids of Egypt. 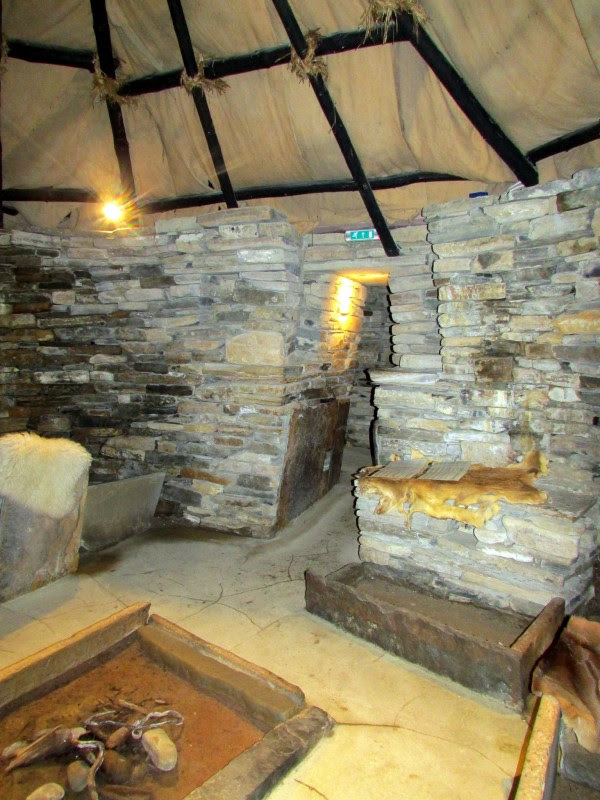 The winter of 1850 hit Orkney hard. A severe storm caused great devastation and resulted in more than 200 deaths. But it also revealed something long forgotten. When the storm abated, villagers discovered a settlement under the sand. 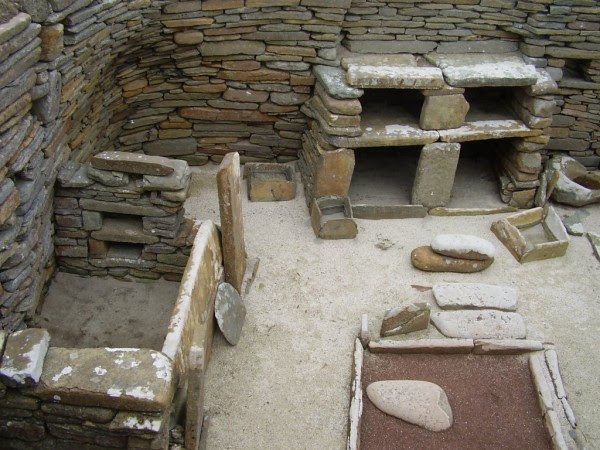 The settlement consists of eight stone houses and was inhabited between roughly 3180 and 2500 B.C., making Skara Brae one of the oldest agriculture villages in the UK. 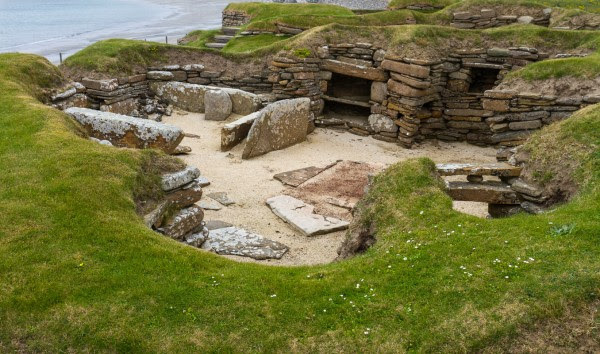 Skara Brae has been called the Scottish Pompeii because the ancient monument is so well preserved. 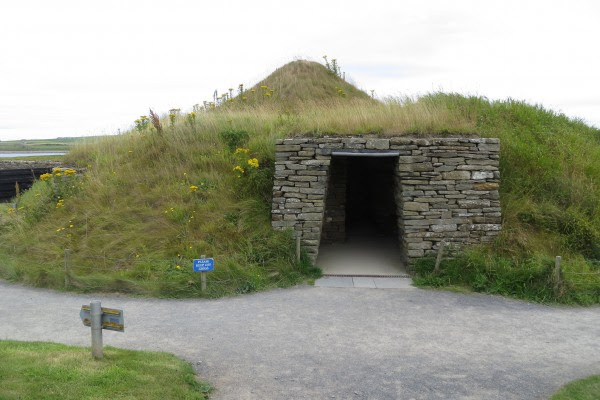 Since the surrounding sand and the buildings architecture were well protected against the cold, both the buildings and their contents have been remarkably preserved throughout the millennia. Archaeologists estimate that 50-100 people lived in the village. 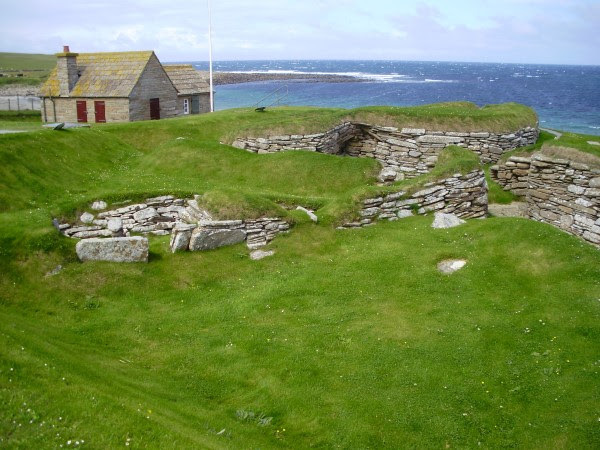 When the settlement was built, the houses were 1,500 meters from the sea. 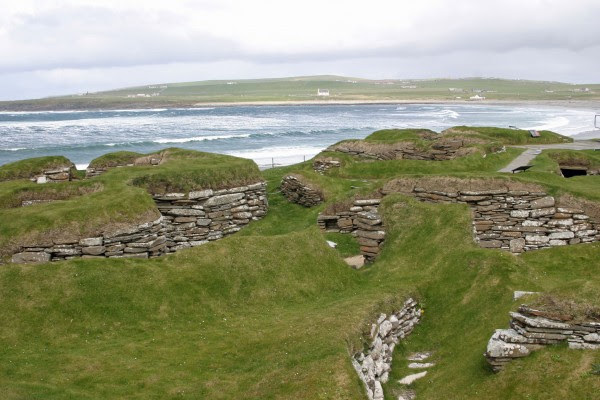 Now, the sea has dug closer to the village and the view from the settlement has changed from pastures to the sea. The settlements seven or eight houses were connected to each other by tunnels. Each residence could be closed off with a stone door. In every room, one bed was always bigger than the other, but no one knows why. Each room also contains cabinets, dressers, seats, and storage boxes. 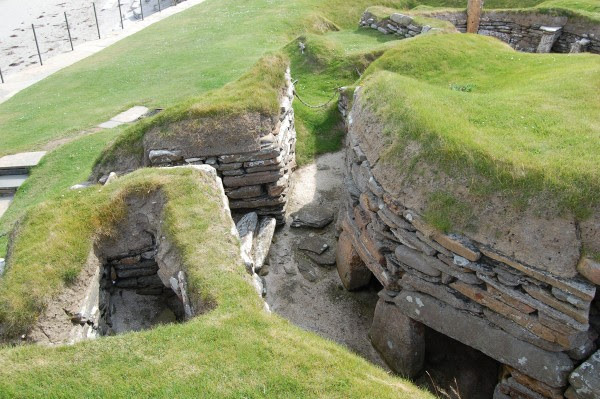 These boxes were built to be waterproof, suggesting that they might have stored live seafood for later consumption. One house is distinct from the other, however. Archaeologists didn't find any beds or other furniture. The house is believed to have functioned as a workshop. 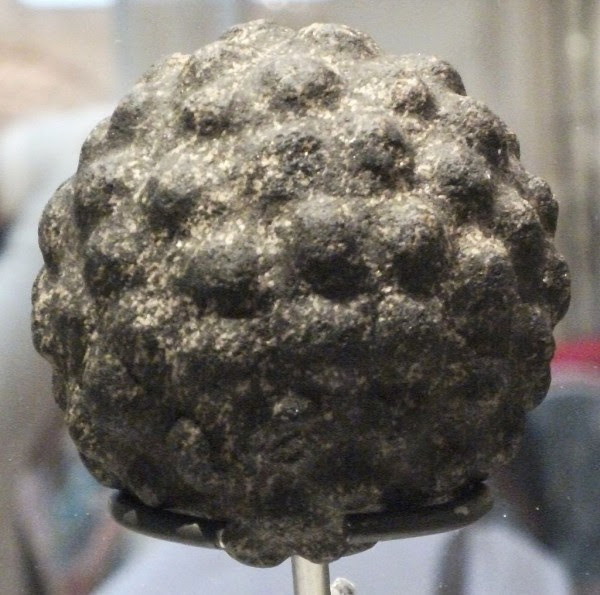 Some believe that the villagers were Picts, a people of unknown origin who settled in eastern and northern Scotland near the end of the British Iron Age. 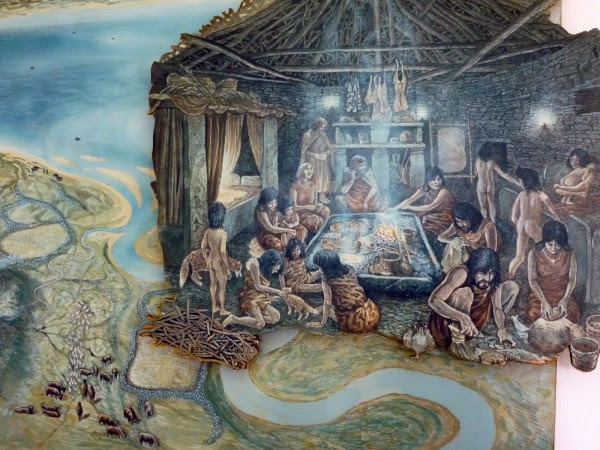 But archaeological findings have shown that the people who lived here could have lived much earlier than that. And no one knows why the village was abandoned. 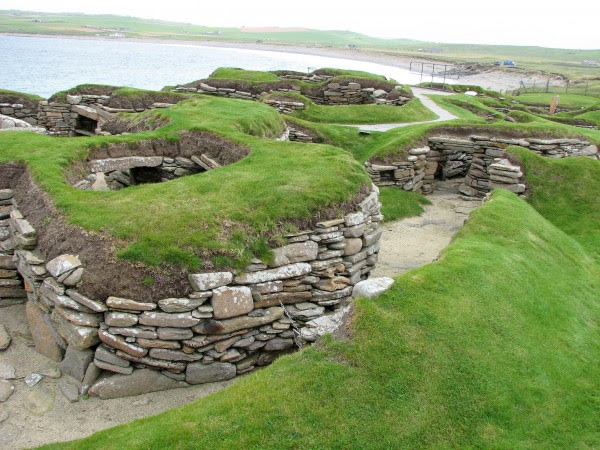 But around 2500 B.C., the Orkney Islands became cooler and wetter. 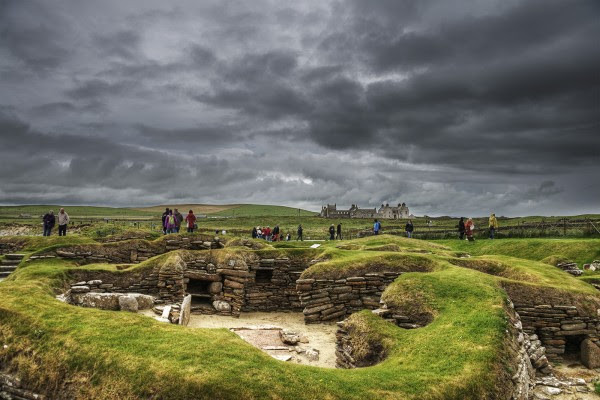 Many theories speculate about how the people of Skara Brae met their fate; the most popular ones involve a violent storm. 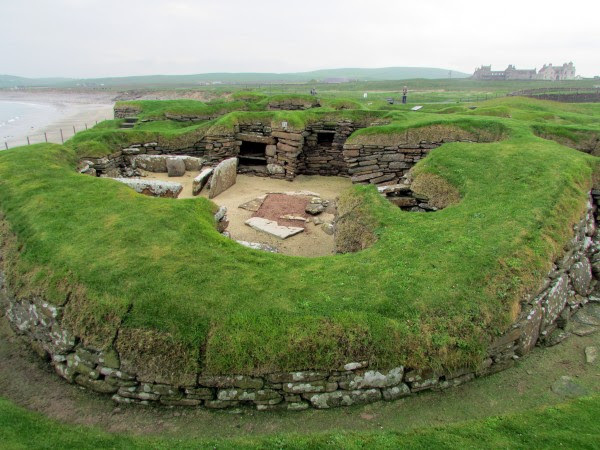 Whats the future look like for Skara Brae? Although the settlement was built nearly two kilometers from the beach, in recent centuries, it has been increasingly threatened by the sea. Since 1926, the houses have been protected from the approaching sea and harsh autumn winds by a concrete wall. 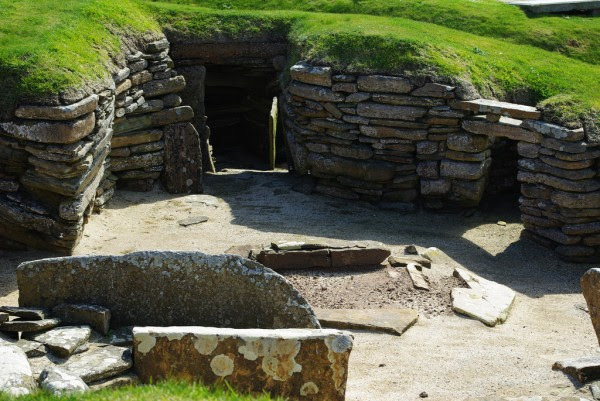 There has been talk about building an artificial beach with boulders and breakwater to preserve Skara Brae and several other ancient monuments at risk of being destroyed. But nothing has happened yet. Until further notice, tourists continue to visit this fascinating place, but the question is for how long?